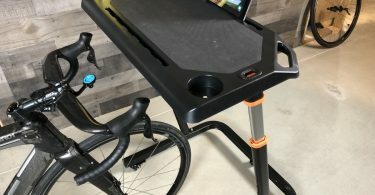 CVRCade last week sent out an email to all registered users who were anxious to try out their new indoor cycling software, announcing they will be releasing all pending beta licenses. I was one of those registered users and received an email a couple of days ago. I went on to download and install their beta application on my Mac and proceeded with the setup as instructed in their long and detailed email. 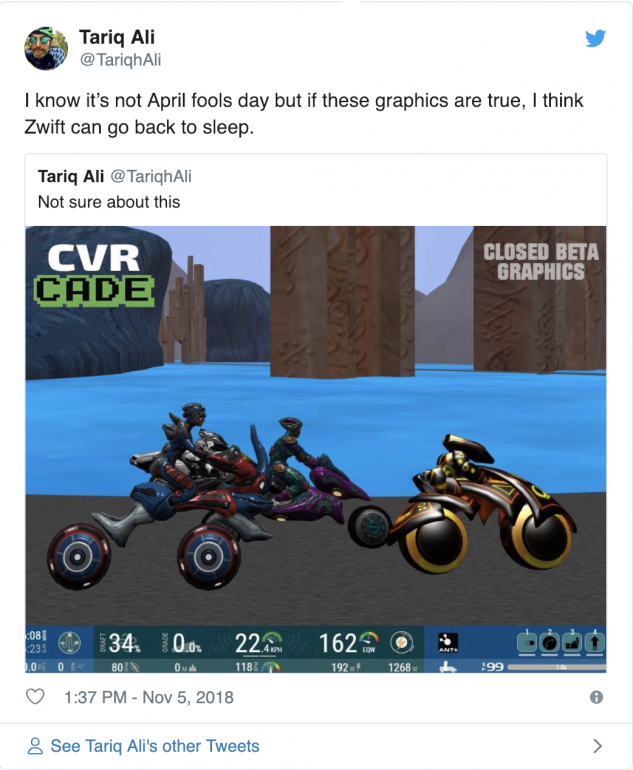 CVRcade is supposedly an indoor virtual cycling application that was created with fitness and gaming in mind. It was also created with eSport in mind allowing athletes to compete and win real prizes. I don’t usually like to review applications when they are in beta for the obvious reasons. A software in beta tend to have bugs, and in most cases, the most prominent features tend to not be ready. I would rather give the company time to iron out all their issues rather than giving them a bad review. And generally, I am not really interested in being a beta tester. 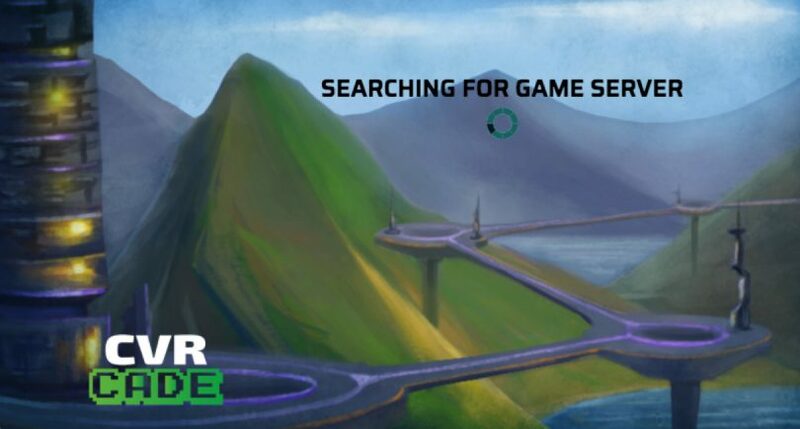 However, CVRcade has been promoting their application on social media as an arcade looking game that you can completely customize, build your own world, different themes, better game physics, better drafting, even allowing users the ability to customize their own dance moves (Fortnite anyone?). 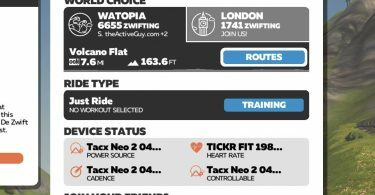 They wanted to take on Zwift and deliver everything Zwift users have been asking for in one software package. Talk about overpromising and under delivering. So I took the bite and decided to see what CVRcade was all about and downloaded their beta software. The 2GB file took about 20 minutes to download. I do have a fiber-to-home internet connection and a 2GB should take a few seconds to download assuming the server on the other end can deliver. I went through the installation and setup which took another 15 to 20 minutes. Going through the menus was painful. Everything was slow and crashing and had to restart the software multiple times. The software is clearly not ready for a beta release and makes you question if they even tested this on their end? However, after a few attempts, I was finally able to set it up, pair my Tacx NEO 2 bike trainer and get it going. The graphics looked more like a game from the 80s. My avatar looked like a combination of a badly pixelated alien riding a motorcycle. Why a motorcycle? The message on top said if I reached 15mph I will be transported to the track of the day so I tried to reach 15mph. I did and went all the way to 20mph but nothing happened. So I gave up pedaling and decided to check out the menu options and see if I can build my own world. Everything was painfully slow. The menus were on top of each other and navigating through them was almost impossible. This is when I decided to close it and move on with my life. However, Ray Maker had a lot more tolerance than me. He was able to install it on his Windows PC rather than a Mac. He posted this 20-minutes video after spending close to eight hours on their software. If you watch the first five minutes of the video, you can immediately see Rays’ reaction. “No, it’s actually what it looks like and it’s pretty horrendous” He goes on and explains some of their menus and available options or lack of. What really got me is their monetization. Watching Ray’s video, they seem to have options to purchase coins and different add-ons to the game. My guess is no one is going to purchase any coins. But the fact that they are open to monetizing off of their first beta release is uncanny and irks me a bit. I still feel like CVRcade is playing some kind of a joke on us. The software is so bad it makes me wonder if they’ve done any kind of testing and if their graphic designer went to a designing school. I am sure my 11 years old son can come up with something better. CVRcade held a private beta late last year and invited a select number of users to test it out. It makes me question if they got any feedback. Did they incorporate any of them? Do they know their Mac version doesn’t even work? Did anyone actually receive an invite to their private beta and was able to run the software and use it successfully? If you did, I want to hear from you. Either way, I am not sure if we will hear back from CVRcade again and if they will survive this semi-launch but if they do and come back with a viable application, it will be the biggest come back ever. For now, enjoy your Zwift, TrainerRoad, Sufferfest, Rouvy, RGT or VirtuGo and Ride On! If you did try CVRcade, let me know your thoughts on it and would like to know your experience in the comment section below.